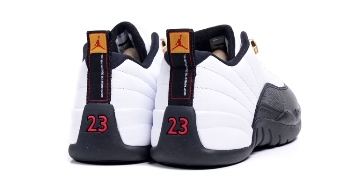 Air Jordan 12 Retro Low Now Out! Jordan Brand made waves with their release of fusion and retro shoes, and this month, they are expected to make noise once again with the release of a new edition of the Air Jordan 12 Retro. But this time, the well-loved Air Jordan 12 Retro will come in a low-cut version, which looks similar to the original built. Called the Air Jordan 12 Retro Low, this shoe came out in White/Black-Taxi colourway and it is currently hitting strides in the different retail outlets out there. Want a touch of retro for your basketball and lifestyle needs? Then grab this one and you’ll get what you are looking for!